Wanna stiffen up that front end, help decrease some slop, but already got the Steering Rack Bushings and thought that is all you could do? Don't worry, you can do some more to help that slop disappear. 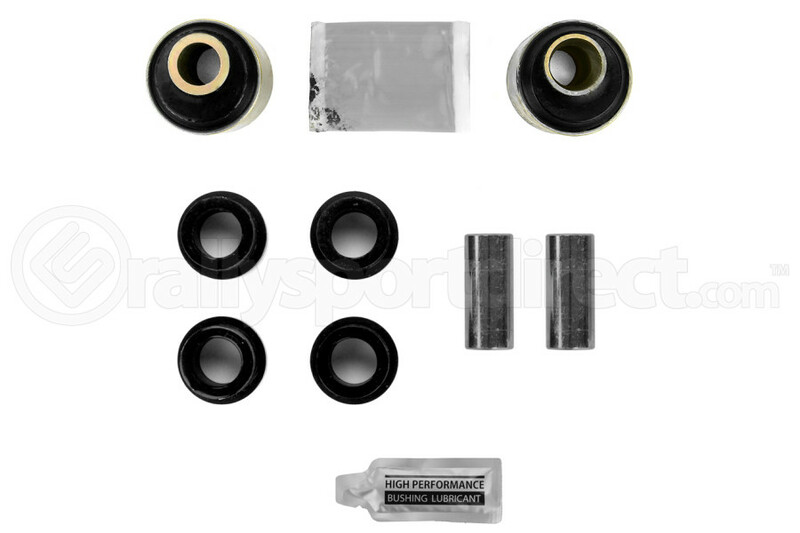 RallySport Direct has done the ground work and has compiled the some more front bushings you need to give you even more control. With the Whiteline Inner Control Arm Bushings (Front and Rear) it complements the Steering Rack Bushings you already to give you an even sharper input than stock. Next time you are playing chicken with a pot hole, you can now swerve harder out of the way and apply that smile of success to your face. Going to replace my 05' Impreza RS lower control arms (steel) with 05' STI lower control arms (aluminum). What will i need other than the ball joints ??? A: This should take care of everything actually on the control arm itself, but there will likely be other components needed such as a different sway bar and different end links, which will be to your personal preference. Feel free giving us a call with any other questions! A: This kit include the all bushings to complete your front control arm . If you have further questions please call us 801-478-4910. What exactly comes in this kit? A: Everything pictured is what is included in the kit.